A story of revenge with a shocking premise and numerous reversals, Skin tackles the issue of what true beauty is - and what's merely skin deep. As believers, our walk with God is motivated by hope, not the bland, vague notion most people have, but the expectation of an exotic, pleasurable inheritance that guides us and fires our passion...or, at least, should. Ted Dekker has written an expose on the death of pleasure within the Church. 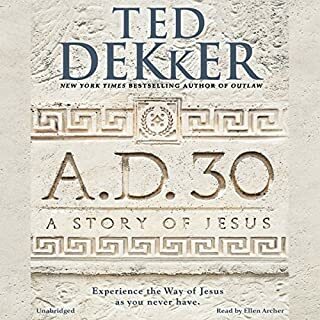 Because many of us have set aside hope and the inspired imagination that drives it, Dekker says we have been lulled into a slumber of boredom, even despondency. Thomas can bridge both worlds, but he is quickly realizing that he may be able to save neither. 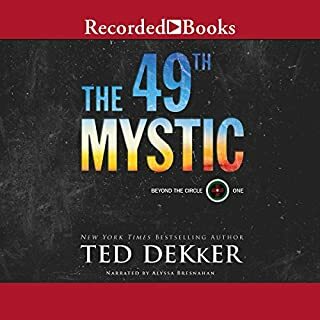 In the surprising conclusion of the Circle trilogy, Thomas must find a way to rewrite history as he navigates a whirlwind of emotions and events surrounding a pending apocalypse. 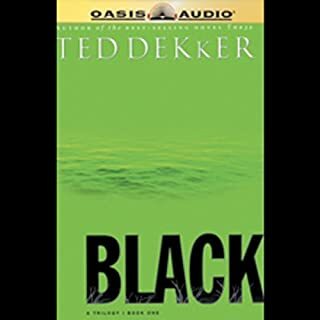 Don't miss any of Ted Dekker's Circle Trilogy. Also, listen to this free interview with the author. The series is a must 'read'. Black, Red, and White takes the reader on two journeys. The reading is fantastic. The stories move quickly from one reality to another, or was it all just a dream? This series is a must have for fiction readers, regardless of religious background. Well done. I really enjoyed all three books, Black, Red and White. The author did a great job with suspense and clever solutions. I loved the creativity of the author, and the way this series makes you think. There are many aspects of the book that can be associated with different aspects of life. I loved this book and I would highly recommend it. 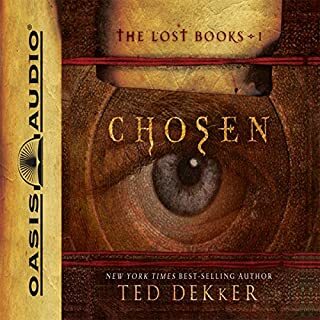 Ted Dekker has written a wonderful trilogy in these books. I started out feeling his writing was a little hokey, then found myself reeled in completely. After the first installment I couldn't help myself-- I downloaded the next two and swallowed them whole. A wonderful allegory and escape at the same time. I would, but I would also let them know that compared to the first two books, this one is disappointing. I hated the ending. Good question, I never know just what I will be in the mood for when shopping for an Audible book, I like a little bit of everything. What about Rob Lamont’s performance did you like? He did great with bringing the Characters to life. 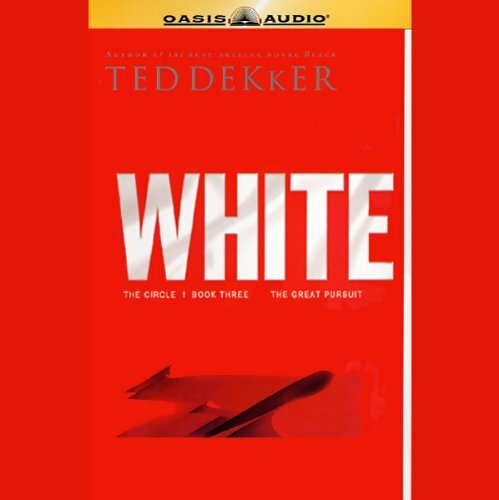 Do you think White needs a follow-up book? Why or why not? It does need a follow up book, if for no other reason than to make this book into yet another dream sequence. They should not have let any of the other characters travel, sorry for the spoiler, but I had to say it. I was harsh on this book, but it really isn't horrible, I just wanted it to end differently than what it did. The Black Red White series was excellent with a gripping narrative style. That said, the final book was probably the weakest of the three. The romance scenes are very heavy handed and don't really ring true. Also some pivotal scenes were repeated word for word from an earlier scene. This may have been a deliberate text device used to show the veracity of the experience but it didn't work. The narrator was good but he seemed to change the pronunciation of some names. One character had three different names (Tilo, Teelah and Taylor). I am not sure if this was deliberate on the part of the author or a mistake on the part of the narrator. However these were minor aberrations in a wonderful adventure that made me want to dream. I really like the Circle Series! 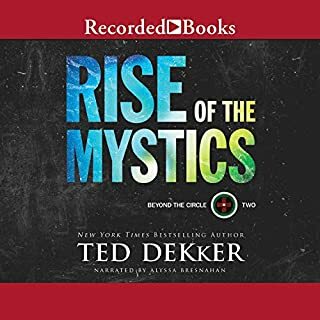 The Circle Series Trilogy, by Ted Dekker is a wonderful read! His analogy of the physical and spiritual words is wildly exciting, entertaining, suspenseful, and fun. He keeps you wanting more all the way to the end! This the third of the trilogy was a great step into the next from the last read. Now I am looking forward to the book Green. I highly recommend this narrator and this book to anyone who likes a great storyline. I recommend purchasing the book and read a long with the performance. Also it will allow you to better follow some of the more intricate and detailed twists in the storyline, by rereading on your on. I didn't like the voice or the music between chapters. I did enjoy the story, buy I likely wouldn't start on this book. 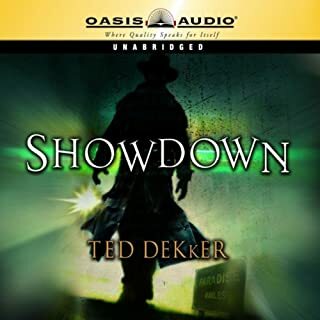 I've always loved tedd dekker. he always keeps me on my toes and brings life with his words. and the reader does his stories justice.